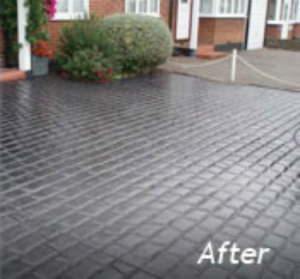 Pressure Washing Services and Driveway Cleaning in Dublin. We provide pressure washing and exterior hard surface high pressure cleaning and restoration services across Dublin and surrounding counties. Clean, debris free patio, driveways etc. Specialising in pressure washing and driveway cleaning in and around Dublin we use all the latest and eco-friendly cleaning techniques. Such as the latest revolutionary tool… the rotary surface cleaner (or whirlaway). This is a must for any professional driveway cleaning and pressure washing company. Different versions are available for walls, floors and paving. This is the latest piece of pressure washing and driveway cleaning equipment that keeps the jetting nozzles at a constant distance from the surface whilst spinning round at high velocity covering a much greater area than a traditional pressure washing lance. Thus pressure washing and cleaning driveways and exterior surfaces much quicker. This leaves the surface streak free whilst minimizing surface damage caused by uneven pressures caused by operator usage on a standard pressure washing lance.This tool has quickly become industry standard for any pressure washing or driveway company serious about driveway cleaning and pressure washing. With our driveway cleaning and pressure washing prices starting from as little as €50 for small driveways and patios we also offer a very competitively priced drain unblocking service at €70!! This includes jetting the drain, also cleaning and unblocking drains. This unblocking service would be suitable for most drainage systems from blocked domestic soil pipes and grids, to commercial gullies and sewers. Please see our drain services page for further info. We also can provide high pressure vacuum tankers for gully emptying and road and street sweeping and cleaning if required subject to quotation. You will always get a first class service whether it’s pressure washing a small, residential garden path, patio or driveway cleaning service in Wexford, you require, to large graffiti removals, shop / store front and forecourt cleaning in Waterford or even a large supermarket car park in Wicklow or More (call us). We have complete solutions and can cater for all of your pressure washing, exterior cleaning and restoration requirements in Dublin. Give us a call to find out what we can do for you: 085 1188081. 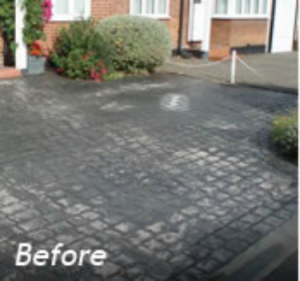 We encourage a self price discount, you measure the size of the driveway / patio / area to be cleaned, saving us time and fuel costs and we pass on the saving to you by way of a discount! We like to call it ‘Eco friendly quoting’. 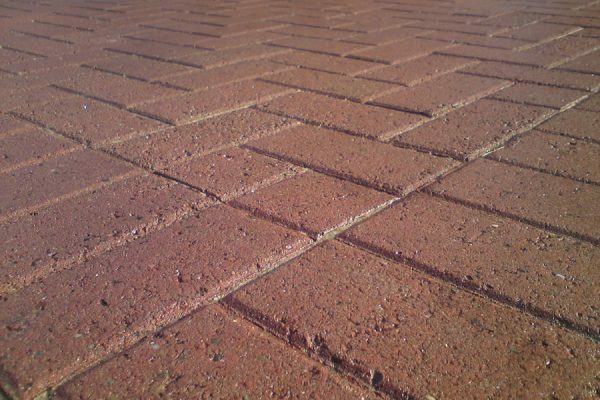 Although we appreciate you may not have the time to grab a tape measure and start pacing out your driveway, patio or any area you need pressure washing so it is also sometimes possible for us to price up the job without even visiting the site or taking any measurements by utilising new technology such as picture messaging or Google Street View. Leaf 2 Leaf pressure & jet washing, driveway & patio cleaning & drain services are always attempting to cut costs for our customers, if you have any feedback about our methods or work practices then please get in contact, send us a message or leave a comment on our blog section so we can keep on improving! 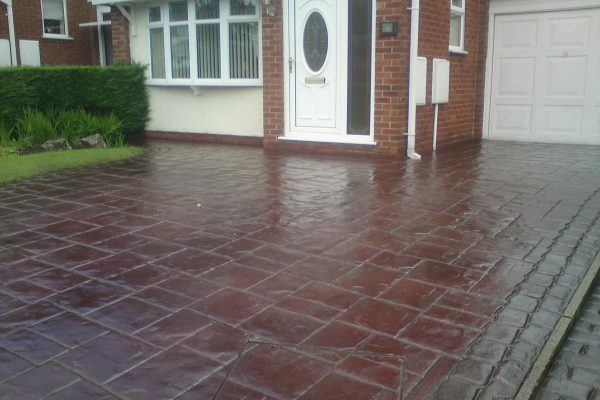 Our driveway cleaning, patio cleaning, drain unblocking, gutter cleaning, conservatory cleaning, chewing gum removal, steam cleaning, jet washing and pressure washing services are like no others in & More (call us) so please get in contact today! We also provide fully guaranteed service & repair work on all major models of pressure washers.